When: Sun., April 21, 11 a.m.-9 p.m. Celebrate Easter with a trip to Andy Alligator’s Fun Park! 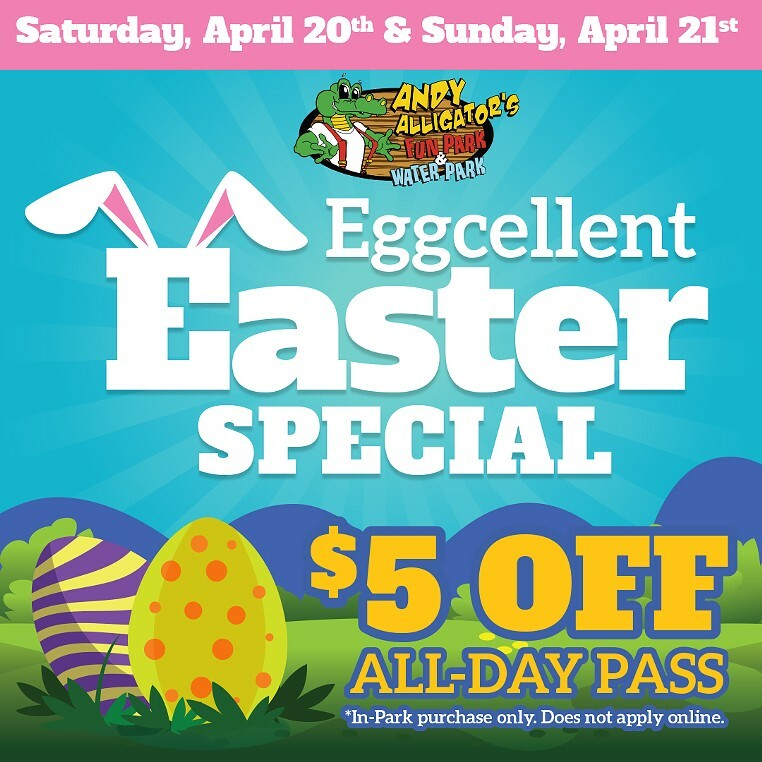 On Saturday, April 20th and Sunday, April 21st get $5 off an All-Day Pass with our Eggcellent Easter Special. All-Day Passes include Go-Karts, Climbing Wall, Rookie Karts, Frog Hopper, Bumper Cars, Miniature Golf, 1 round of Laser Tag, and Kidz Zone.